The orthogonal viewer + image processing tool. 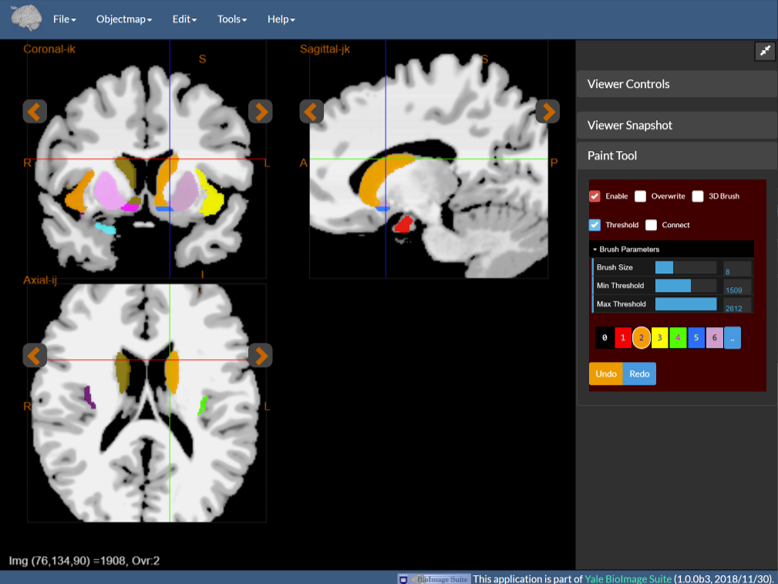 The fMRI connectivity display tool. 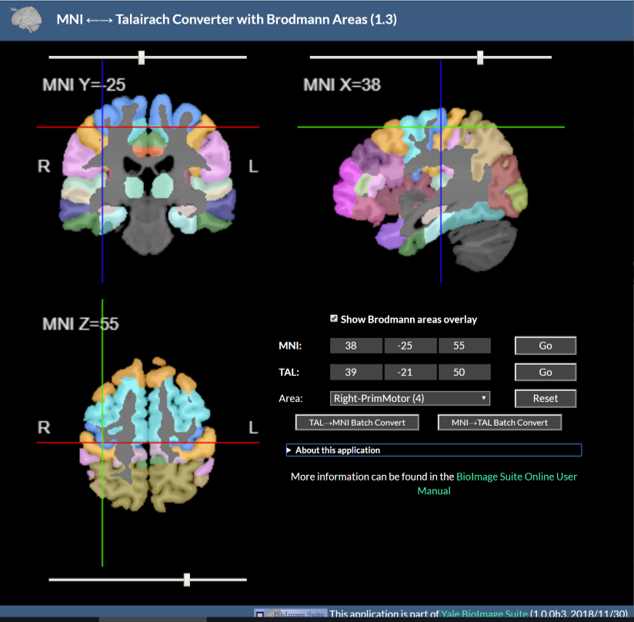 The MNI 2 Talairach Converter program. The orthogonal viewer and editor. 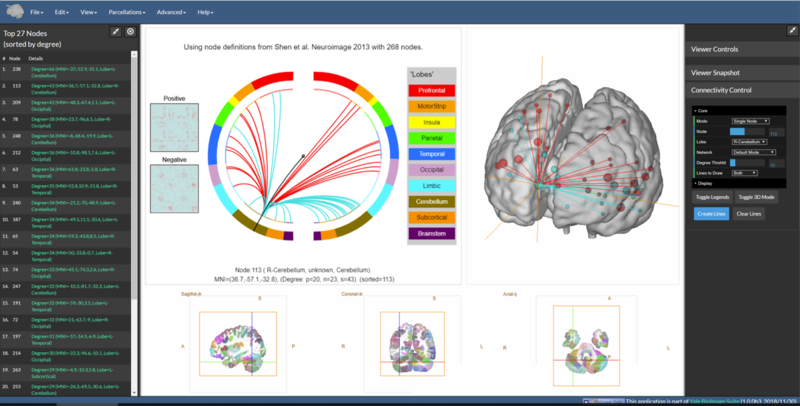 The orthogonal and mosaic functional overlay viewer. A dual registration viewer with linked cursors. 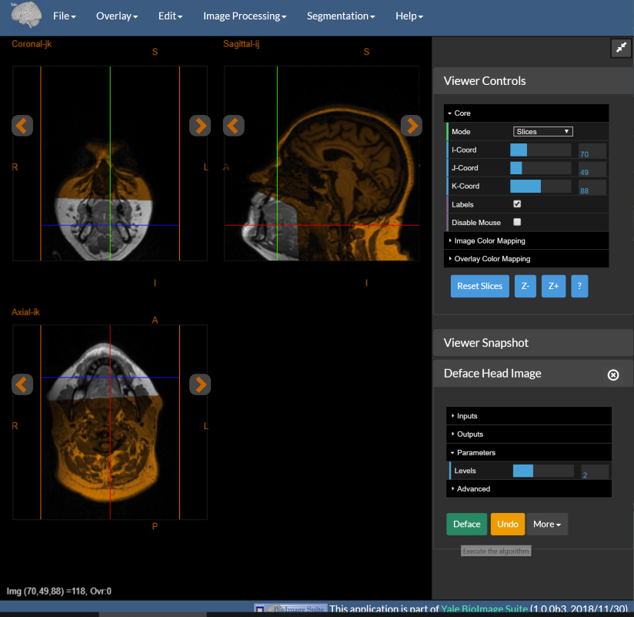 Welcome to BioImage Suite Web. above, or simply click on the application picture, to open the application. Please visit our download site for commandline and desktop versions of the software. This software is not approved for clinical use. Use at your own risk. 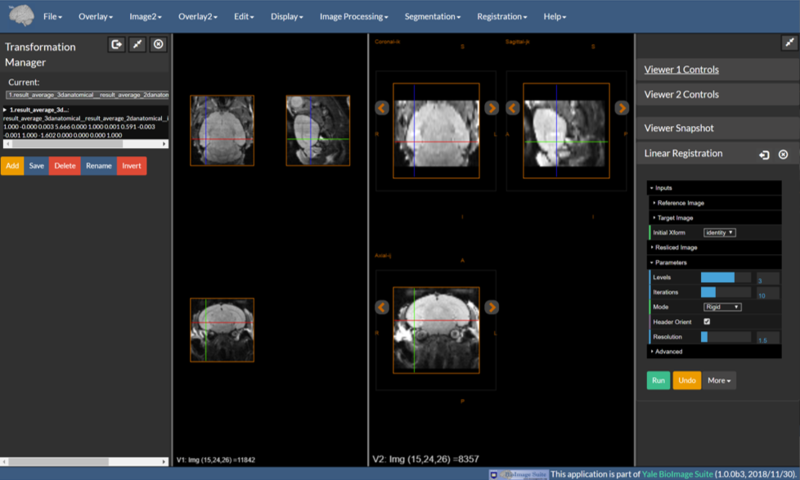 If you are looking for the old desktop based BioImage Suite software you may download it from the Legacy BioImage Suite Webpage.